MADRID (Reuters) -- Spain will extend a multi-million euro scrappage program for the acquisition of new cars to the end of the year, a spokeswoman for the Treasury Ministry said, without giving figures. Spain’s car sales, hit hard by a near six year economic downturn, have been lifted by the so-called PIVE subsidy scheme which has already been topped up six times. New-car sales rose for the 14th straight month in October by 26 percent, car manufacturers' association Anfac said on Monday. 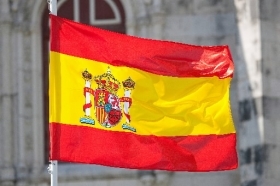 At the beginning of June, the government extended the subsidy program for the sixth time with a further injection of 175 million euros ($238 million).